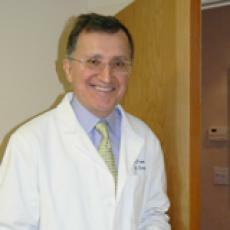 Stefano Fusi, M.D. was born in the town of Montecatini, Terme (nearby Florence) Italy. He grew up in Rome where he pursued and received his medical degree from the city's own Universita di Roma. Dr. Fusi moved to the United States in order to complete his education, and underwent both his General and Plastic Surgery training in the United States – the former in Pittsburgh, the latter at Yale University School of Medicine. Certified by the American Board of Surgery and the American Board of Plastic & Reconstructive Surgery, Dr. Fusi maintains active membership in a number of professional medical societies. Learn more about our cosmetic procedures including: Abdominoplasty, Liposuction, Face Lifts and Breast Augmentations. Some of our reconstructive procedures include: Breast Reconstruction, Hand Surgery and Microsurgery, click here to read more about these procedures and more. Learn more about Botox?, Callagen Injection, Fat Transfer and more. You have touched a universe and made a difference in someone's life. This gift will remind you of the impact you have had on my universe and life. The brightness you add through your smile, your care, your time, your patience illuminates one's darker moments. Even in the darkness of the universe there exists that unique glow of a star that shines brighter and stands out from all the rest. Maybe, just maybe, it is an Angel watching over us in some special way. For all you have done (your shine) for all you will do (your glow) for your skill that touches one's universe, for the difference you make, a star has been named in your honor! For it was a time when I needed an Angel and you were there as a part of my journey. I was sure lucky to have had you shine on my universe and that of my family and loved ones. Just a note to say Thank you for making this experience so enjoyable and comfortable for me! I just wanted to send a quick note to thank-you all so much for your wonderful care and concern you showed me during my surgery & there after. You truly made me feel so calm on the day of my surgery. All the wonderful things people say about you are 100% true. Thank-you so much from the bottom of my heart, for giving me a new look & new self-esteem. I am so proud to be part of the "Dr. Fusi Fan Club". Your kindness and reassuring manner have given me such a sense of peace throughout this journey.